Intel released the 16-bit 8086 processor back in 1978. 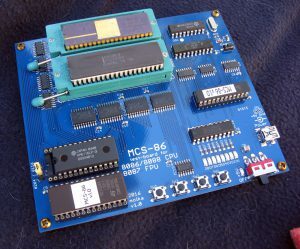 The cost reduced 8088 version (with an 8-bit data bus) was released in 1979. Its adoption by IBM in the IBM PC (over the likely better Motorola 68000) led to Intel’s success, and the dominance of x86 that largely continues to this day. 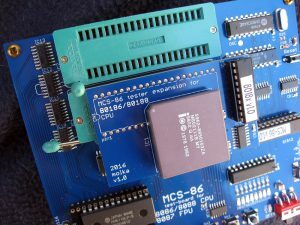 The architecture was extended with the introduction of the 8087 floating point co-processor, allowing math operations to be significantly sped up. 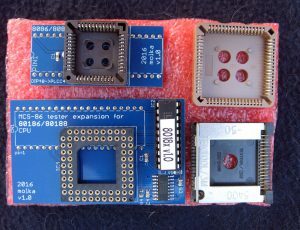 A series of microcontroller versions were also introduced in 1982 as the i186 and i188. Production of the 808x and i18x continued well into the 21st century. 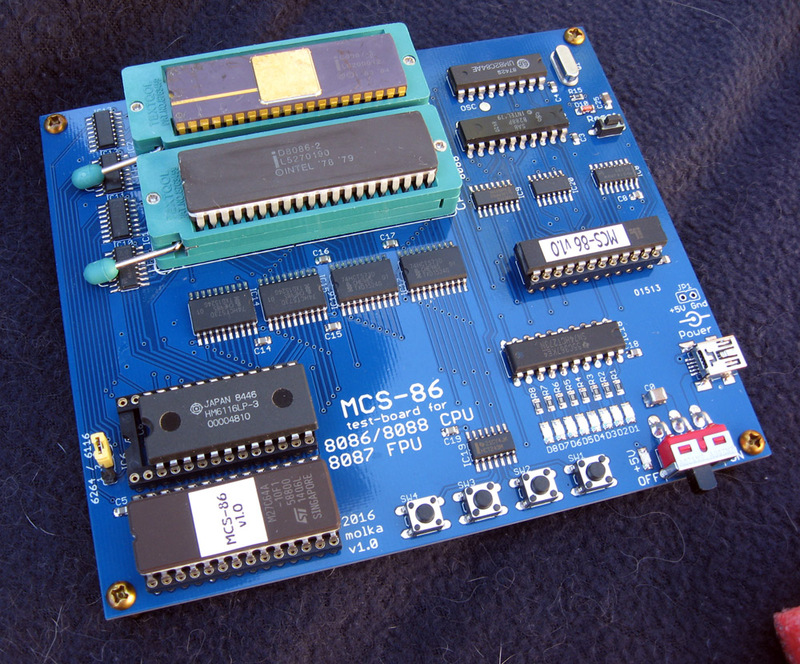 This test board system is capable of testing 8086/8088 processors as well as the 8087 FPU. It may also be used to test the enhanced versions made by NEC called the V20 and V30. A PLCC44 adapter (included) allows PLCC44 CPUs to be tested as well. 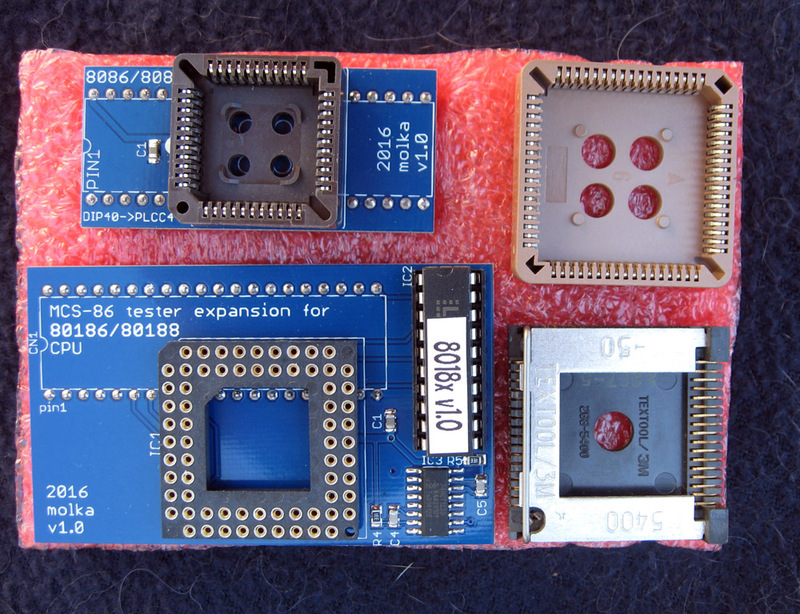 In addition, the 186/188 expansion board (also included) allows testing of 186/188 type CPUs in PGA68. CLCC, and PLCC packages. • 40-pin ZIF Socket labeled CPU 8086/8088: Provides easy replacement of the CPU to be tested. • 40-pin ZIF Socket labeled FPU 8087: Provides easy replacement of the FPU to be tested. • i8284 clock generator: Provides 4MHz system clock. • i8288 BUS controller: Provides command and control timing generation. • 8 LEDs: Output devices. • 4 Push Buttons: Input devices. • Memory: 8KB ROM and 2/8 KB RAM. A 2764 8KB EPROM holds the test program. This program supports 4 push buttons as inputs, and 8 LEDs as output devices. It also provides basic and special feature test routines. 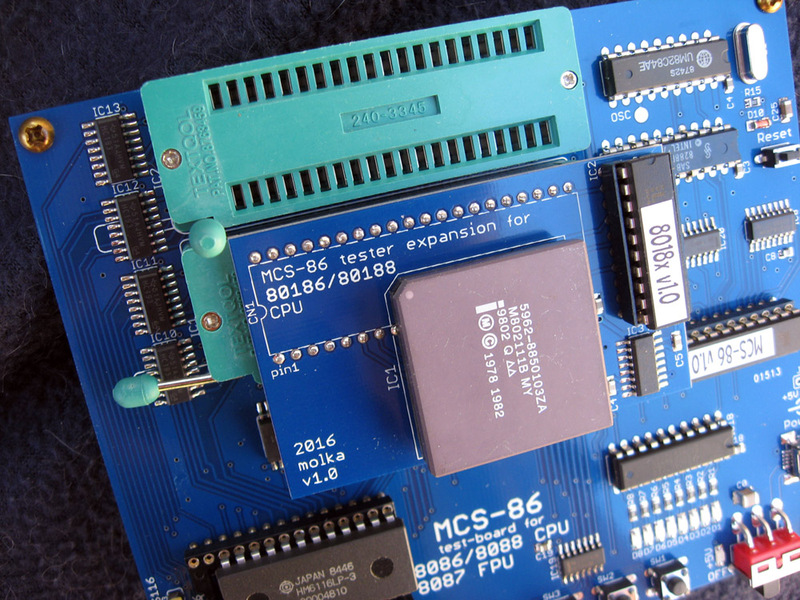 The board requires a single +5V power supply (600-800mA) provided through a mini-USB connector or an Ø5.5mm*2.1mm Power Jack connector.